Every now and then, a new restaurant comes upon us with a delicious recipe made so perfect that it sets a new standard and ups the ante, every taste of the way. 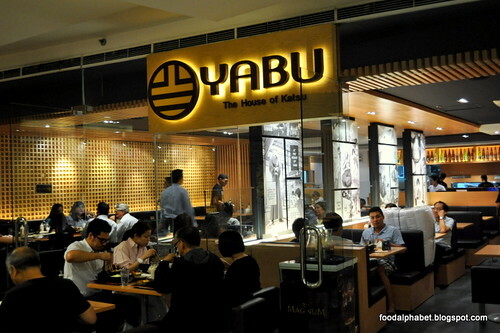 Here comes Yabu: The House of Katsu. 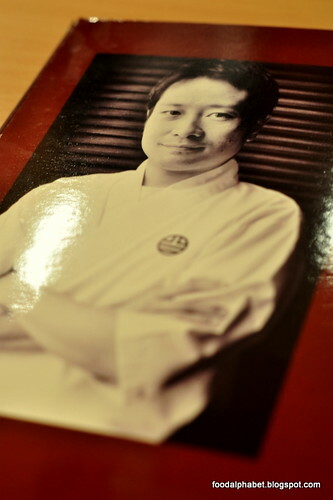 Chef Kazuya Takeda is Yabu's partner on all thing katsu. As the head chef of Tonkatsu Takeshin, a popular restaurant in Tokyo, has bestowed upon Yabu's chefs, the skill and taste, worthy to be called the most delicious and perfect Katsu. It's not just my first trip to Yabu, The House of Katsu. I have been here countless times and every visit is worth every bite, every buck. 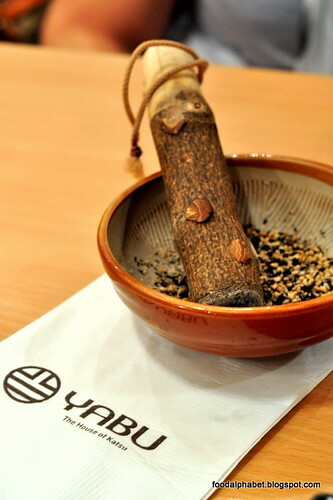 Let me first introduce you to 2 of your best buddies for your whole meal here at Yabu. 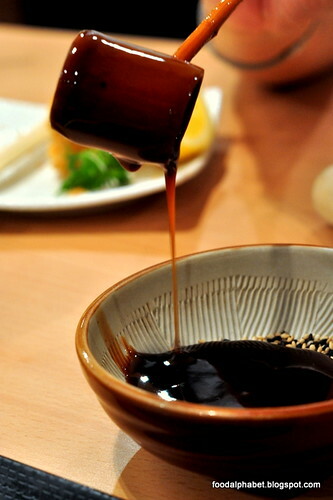 Next, pour the katsu sauce into the grounded sesame seeds, mix and we're ready to start and enjoy our Katsu. 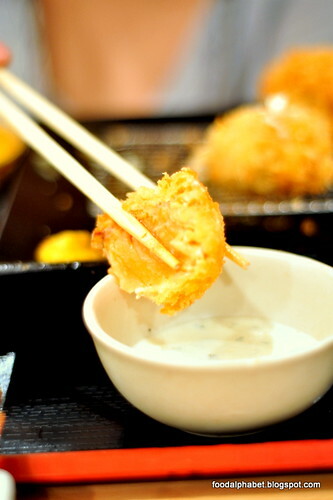 Yabu is every Katsu lover's paradise, from pork katsu, chicken katsu, seafood katsu name it, they all have it! Well, as far as I love katsu, my favorite would be Hire (Pork Tenderloin) set, priced at P330 for 100g and P405 for 150g, since I am trying to watch my weight, this order is definitely for me. Made from 3/4 inch thick, flaky pork cutlet with no fat, served with unlimited Japanese rice, miso soup, Japanese pickles, unlimited cabbage with sesame dressing and a bowl of fruit. What do you know, it's a complete and fulfilling meal. Dipped in your own grounded sesame seed katsu sauce, the pork tenderloin oozes with flavor with every bite. The texture smooth and even with its thick but, is easy to the bite. Even people with soft teeth won't feel any pressure in each bite. 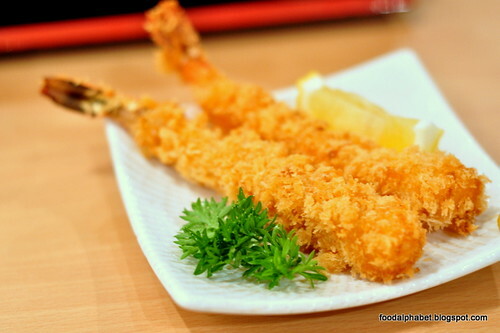 Pair it up with other ala carte dishes if you wish, such as this Japanese Tiger Prawn at P140 per piece, or the recommended Potato Croquette (picture below), 2 pieces for P110. 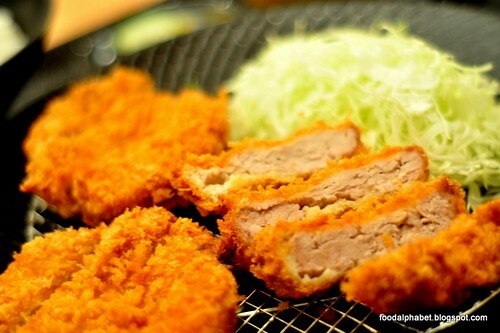 Be it an appetizer or a part of your main dish, its always a welcome addition to the delicious katsu meals. One of their newest additions to their menu is their Mixed Katsu sets, also served with unlimited Japanese rice, miso soup, Japanese pickles, unlimited cabbage with sesame dressing and a bowl of fruit. 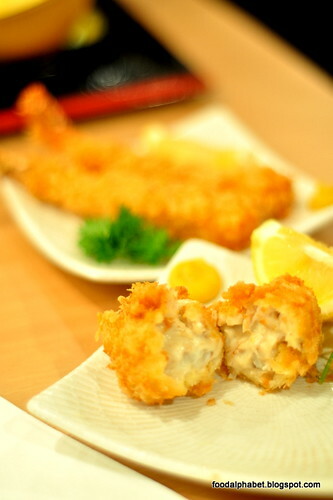 Here we got a taste of Seafood Katsu Set 2, which has Salmon, Black Tiger Prawn, Crab and Oyster. 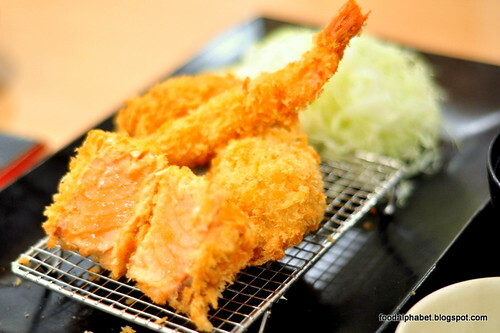 The Salmon dipped in Yabu's special tartar sauce, is fast becoming a favorite amongst regular customers as well as new converts. Yabu has even made a convert out of me. For the best katsu in town, there is no doubt Yabu, The House of Katsu takes that honor of being the best at what they serve. 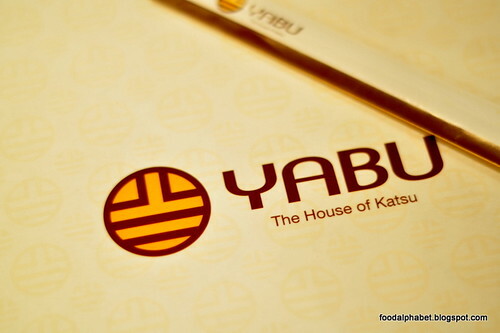 Visit them at SM Megamall or the newly opened Yabu at Robinsons Magnolia mall in Quezon City. Have a quick bite or indulge in a full meal, you will always go home full, smiling and wanting more.